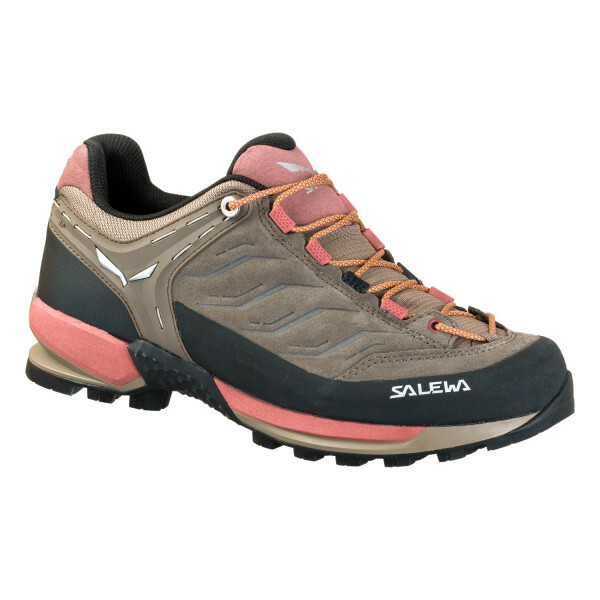 A low-cut women’s suede alpine approach shoe for technical hiking, via ferratas and trekking with a sure-grip Vibram® sole. 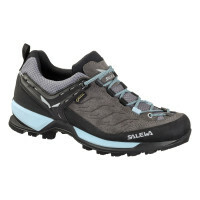 The Mtn Trainer is an alpine approach shoe designed for technical hiking, via ferratas and trekking. Its self-cleaning Vibram Mtn Trainer Evo outsole provides excellent grip and confidence and stability in difficult terrain. The deep grooves and aggressive lugs guarantee good grip on rock, scree and via ferratas and optimal traction on mud, grass and snow. 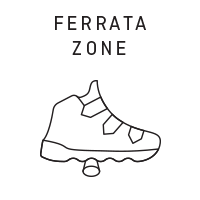 In the midfoot tread area of the sole is a via ferrata zone with specific right-angled lugs that maximise force applied through the foot. This provides better grip on the rungs of via ferrata ladders than a conventional flat midfoot section. The robust suede upper has a 360° protective rubber rand and a breathable mesh lining for optimized breathability and climate comfort. 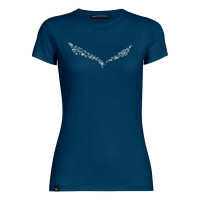 This makes it ideal for use in drier, warmer conditions or during higher activity levels. 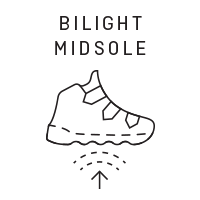 Inside the shoe, the Bilight TPU midsole provides improved and long-lasting shock absorbency and rebound. 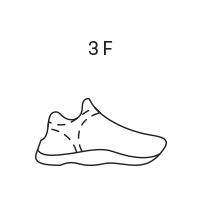 Our signature 3F system connects the instep area with the sole and heel for flexibility, correct fit and support. 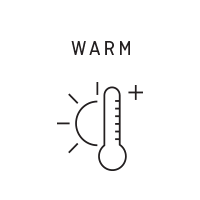 A cushioning OrthoLite footbed wicks away moisture, helping to keep your feet cool. 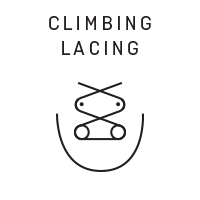 Climbing lacing provides a more wrapping fit at the forefoot. And 3D eyelets allow customized three-zone lace tensioning – you can also fine-tune the toe-area for greater precision and support in technical terrain. 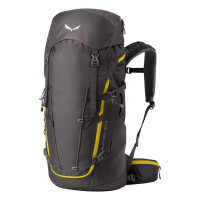 The Mtn Trainer is made in Europe.